Printable Treasure Map | Print, Cut, Paste, Craft! 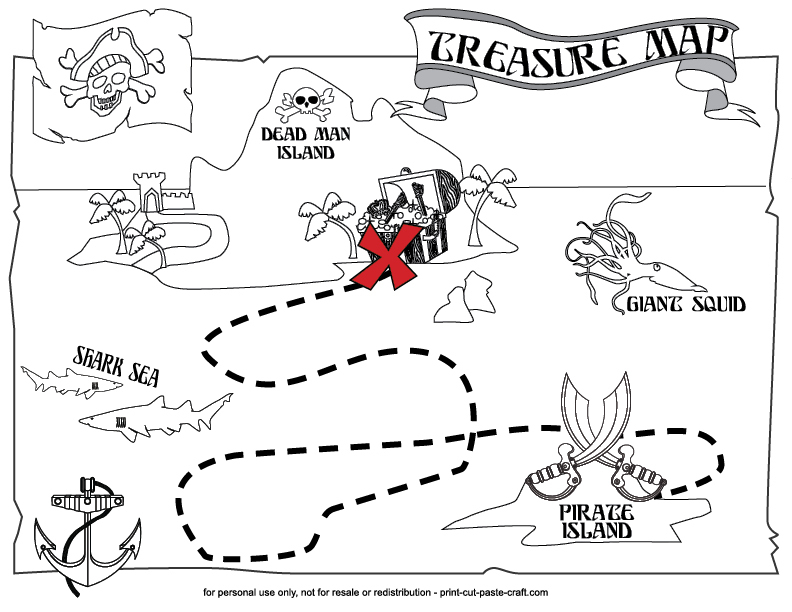 All the kids in the world love treasure hunts! Click on the image to download the jpg file of this amazing coloring page. Thank you so much – I’ll be printing this for a party bag filler for my sons birthday!